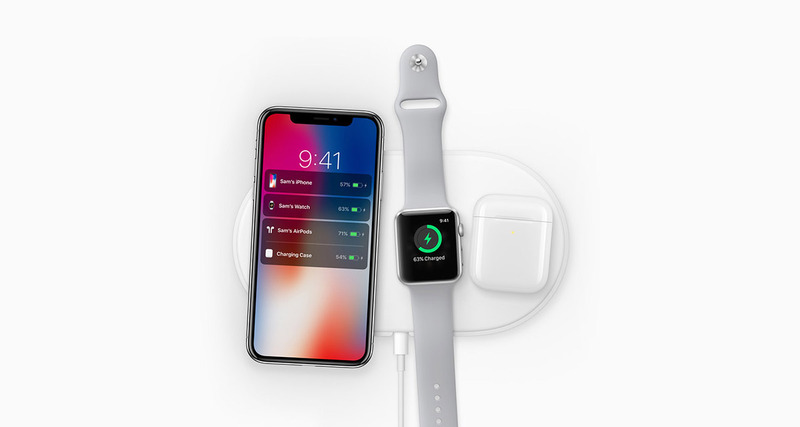 Apple may have announced AirPower well over a year ago and it may have missed its 2018 release window, but it sounds like it may finally be edging closer to being released. 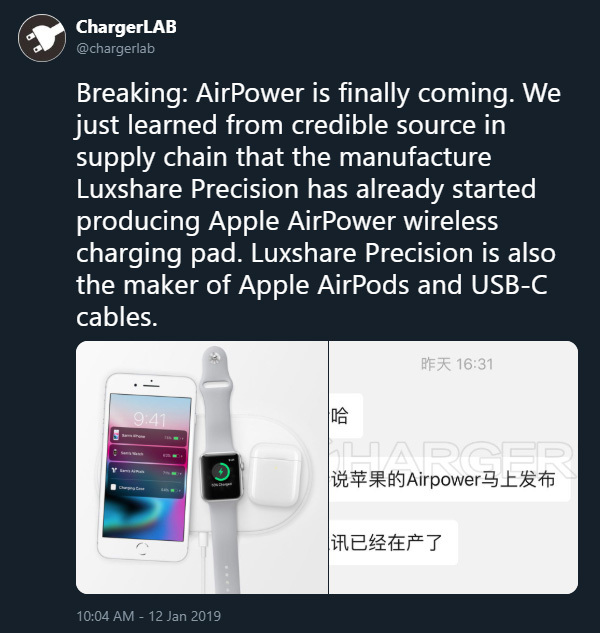 There have been murmurings that AirPower’s problems are in the past and that it will arrive sooner rather than later, and now Hong Kong’s ChargerLAB is citing what it calls a “credible source,” saying that the charging mat has already started production. The site has been speaking with its source via messaging app WeChat and has shared the chats themselves. The claim is that Luxshare Precision is already making AirPower, which would make sense as it’s a member of the Qi wireless charging consortium. It’s also a company that already makes Apple’s AirPods as well as USB-C cables. 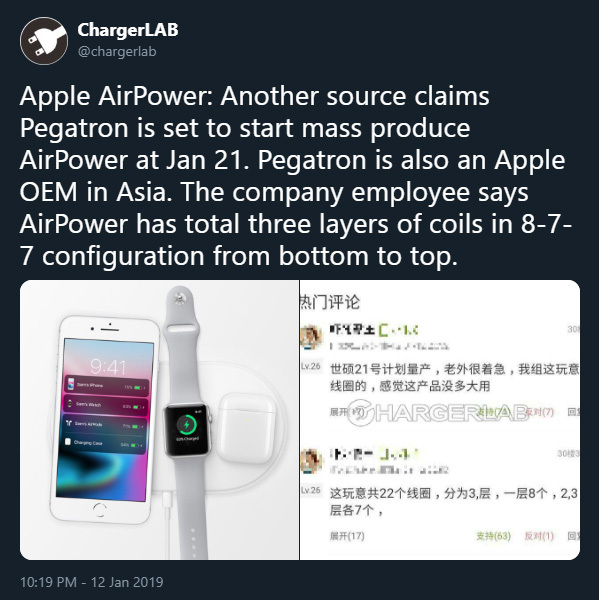 Along with this, ChargerLAB also cites another source who claims that Pegatron will begin mass production of AirPower on January 21st, meaning we could see it released in the next few weeks if production goes well. It was believed that the sheer complexity of charging multiple devices simultaneously without any specific drop zones was causing problems, specifically with heat. That would have to have been rectified in order for the product to launch, and ChargerLAB’s source says that AirPower has three layers of coils – eight at the bottom, followed by two layers of seven. The heat that configuration generates must have been sufficiently reduced if production is underway and these sources are indeed accurate. AirPower is something of a unicorn for Apple fans, and the prospect of it finally being released months after it was almost given up for dead is an interesting one. If AirPower really is going to ship, only one question remains: how much will it cost? Good Apple announcing some design and Samsung manufactures it and then Apple copies it from Samsung. That’s the reason command replaces control in Apple . Command + copy is the motto of Apple under Cook.